Launched at the London Wetland Centre in July, the survey — which saw more than 36,000 people take part last year — uses butterflies’ quick reaction to change in their environment as an indicator for biodiversity. Declines in butterfly numbers can act as early warning signs for other wildlife losses. Following the advice of the big butterfly count’s website, I found a sunny spot and stood for 15 minutes with my survey sheet and eyes peeled, monitoring all the butterflies that came into view. 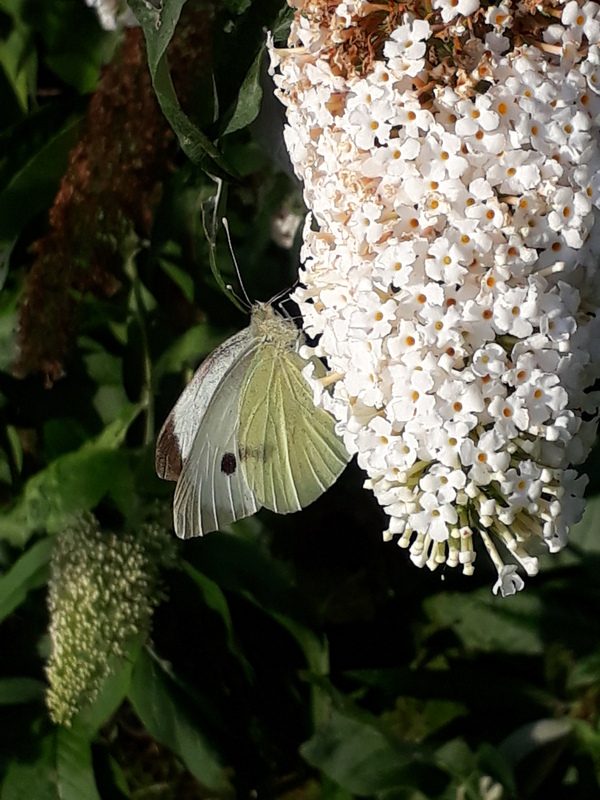 As Sir David Attenborough explains in the video above, buddleia is an invasive species, but its flowers hugely attract butterflies. and one Small Tortoiseshell butterfly (note the tiny dots of blue at the base of its wings). 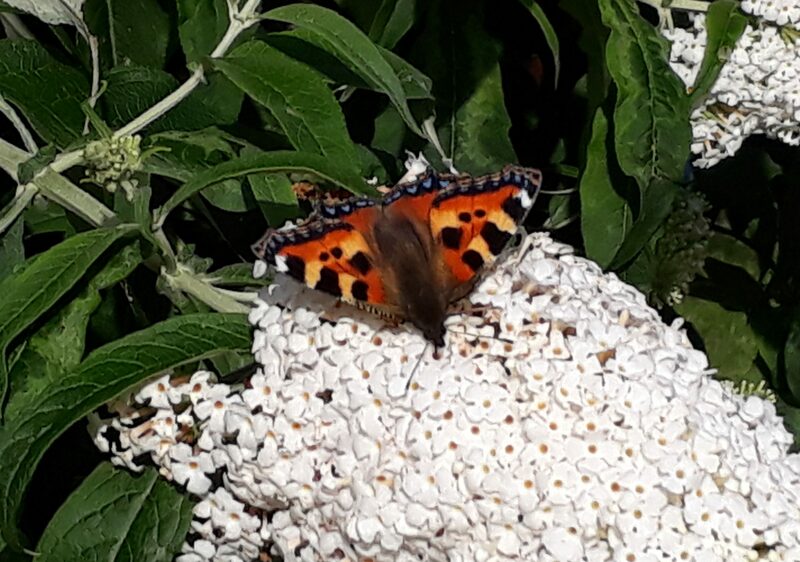 The official data collecting days of the big butterfly count were 14th July to 6th August, though sightings from this period can be logged online or through the app until the end of the month. Butterfly ID sheets are still available to download online here.